This soft cooler is fully collapsible! 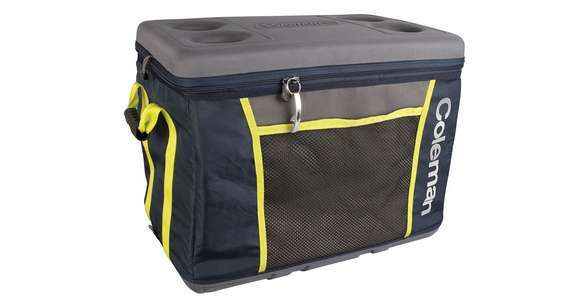 When in use, rigid inside liners keep the cooler upright and shapely. These can be collapsed to be completely flat for discreet storage. The rigid top construction contains 4 cup holders – can even be used as a small table!